Amid lack of clarity on electric vehicles (EV) policy, Mahindra Group has announced a $139 Mn investment in EVs over the next four years. The company plans to invest $61.9 Mn (INR 400 Cr) in Karnataka and $77.4 Mn (INR 500 Cr) in Maharashtra. The company has already invested $92.9 Mn (INR 600 Cr) in EVs in the last five to six years. The country’s first electric vehicle manufacturer said that the investments will be used to increase production capacity and improve its technology and products. Goenka further informed that Mahindra’s current EV manufacturing capacity is 400 units in a month, which he expects will cross 1500 this September. Mahindra has set an ambitious target of rolling out 4000 units by December 2019. Also, with this investment, the company is targeting the capacity to build 5000 units a month. Furthermore, the Mumbai-headquartered company will be looking to manufacture all components of the EVs, except batteries. He clarified that batteries require greater volumes for local manufacturing and therefore, will have to be imported. Terming the investment a “leap of faith”, Goenka added that the present demand for EVs is 300 units a month. Nitin Gadkari, Minister for Road and Transport, had recently announced that there is no need for an EV policy in the country now. He also added that no further incentives will be accorded to the industry other than the existing ones. The announcement caused ripples in the auto industry. Following this, lobby group Society of Manufacturers of Electric Vehicles (SMEV) decided to meet Amitabh Kant, CEO of NITI Aayog and Heavy Industries Minister Anant Geete to seek clarity on the government’s position on EV policy in India. The group believes that the current subsidy on electric two-wheelers is not significant enough to lure buyers. However, Goenka supports the government’s announcement saying that there has been no u-turn by the government, as it already offers benefits in GST treatment. More so, EV policies of respective states can keep the industry going. Goenka also pointed out that the biggest hindrance for EV- makers is the lack of charging infrastructure. He suggested that transport aggregators including Ola and Uber will be the first ones to adopt EVs. He also emphasised that EV space is a huge opportunity and that everyone should focus on it. He further expects the industry to continue its growth at 4-5% even in the decade to the 2030s. In the recently concluded Auto Expo 2018, auto industry showcased 28 market ready EV products. The event witnessed Indian and global automobile companies joining the EV bandwagon, including Renault, Maruti Suzuki, Tata Motors and Mahindra. Mahindra Group showcased a range of EVs, including a bus called e-COSMO and a lithium-ion battery-powered three-wheeler called Treo. Commercial vehicles manufacturer Ashok Leyland launched its first electric bus, called Circuit S. On the other hand, Maruti Suzuki unveiled the first design concept of its electric vehicle, e-Survivor. However, global companies showed reluctance in launching their products in India at present as they await a policy framework. 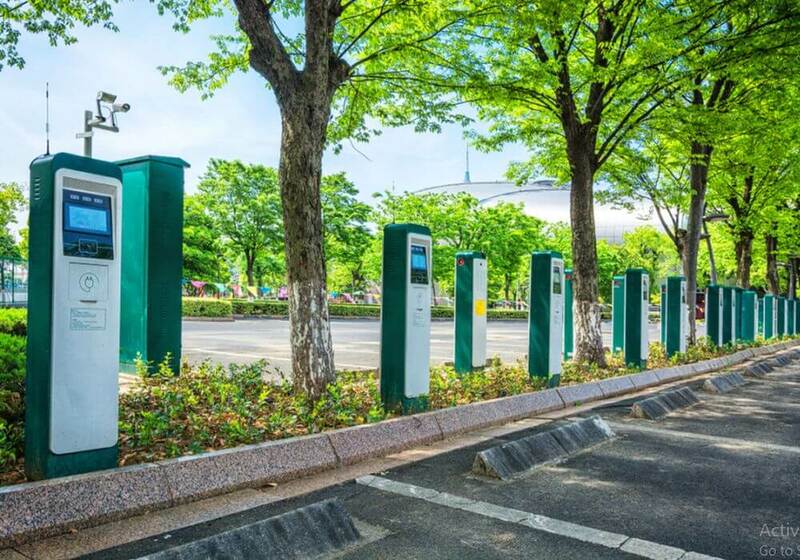 However, with the launches of EVs, the country is also addressing the issue of charging stations. Recently, Exicom installed the first electric vehicle charging station at United Nation office in Lodhi Estate. Also, Menza Motors, an EV Startup set up three charging stations along the Yamuna Expressway. A recent report by FICCI and Rocky Mountain Institute said that if successful, the shift to electric vehicles could potentially help India save up to $300 Bn (INR 20 Lakh Cr) in oil imports and nearly 1 gigatonne of carbon dioxide emissions by 2030. With increasing push towards electric vehicles segment, the latest investment by Mahindra Group is sure to boost the confidence of players in the industry.